People can spot bribery of politicians, police and other influential positions a mile away. They suddenly become deaf, dumb and blind, however, when they’re the ones who might be accepting an illegal bribe. 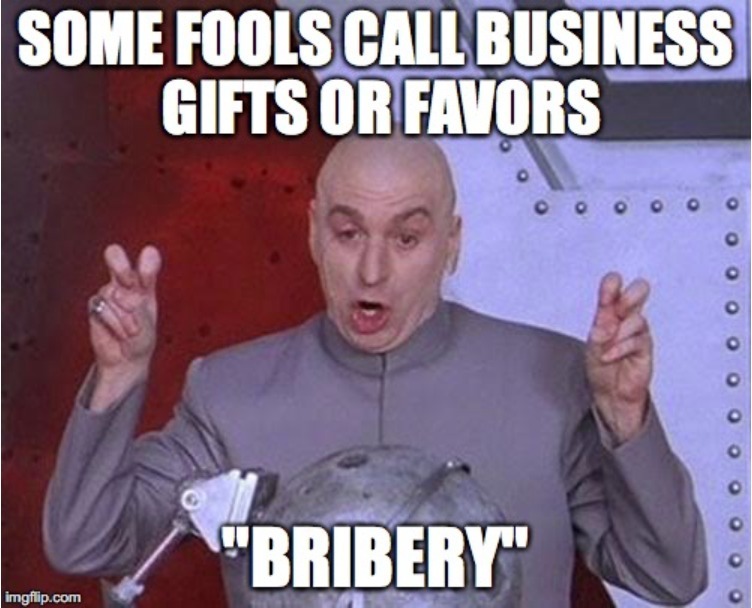 Use this meme to remind your team if it looks, smells and quacks like a bribe — it is one.